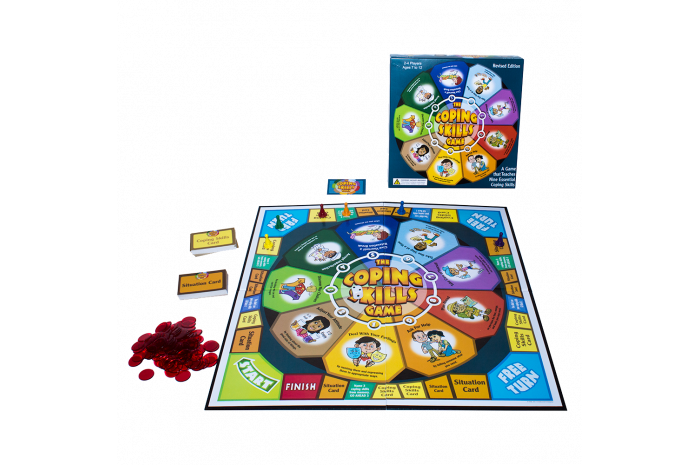 The Coping Skills Game provides instill children with tools for emotional self-care. Children will learn to deal with feelings, adjust attitudes, discover choices, accept imperfections, and more. 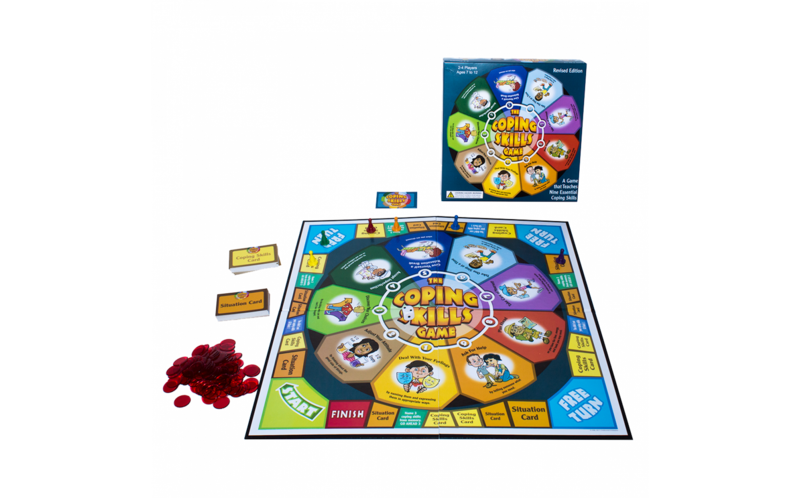 The game presents real-life situations and makes dealing with them fun. Participants learn to identify and accept their feelings, verbalize their needs, and to have them met in an acceptable manner, instead of acting them out dangerously or disruptively.